It’s raining season at Yogyakarta (pronounce as “Jog-Jakarta”, called Yogja for short) in March but since Air Asia was having promotion during this period, I decided to go ahead. The days were gloomy with no sunrise or sunset to be seen. Always very hot in the morning and heavy rain in the afternoon and night. Nevertheless, it was still a good trip with many photography opportunities, great food and relaxing pace. 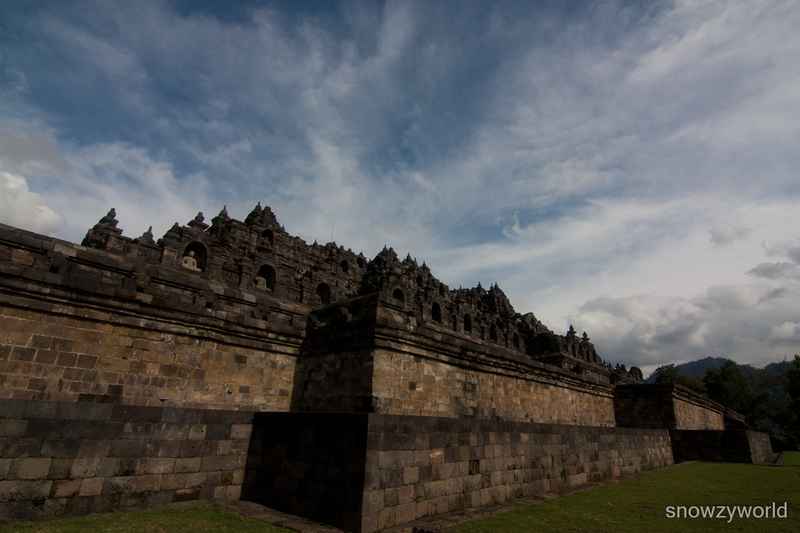 One of the hi-lights of Yogja is the Borobudur temple, built some time between AD 750 and AD 850. 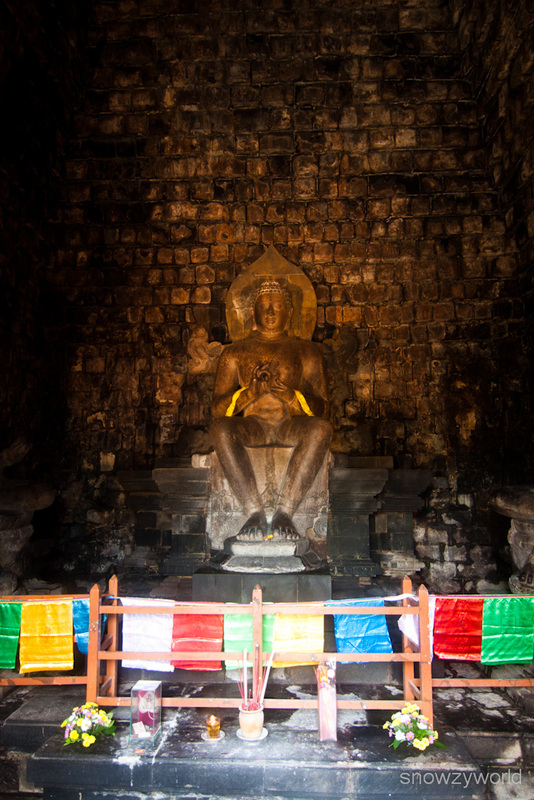 It was abandoned soon after completion due to the decline of Buddhism. All the while covered by volcanic ashes till 1815 when it was revealed again by Sir Thomas Stamford Raffles when he was ruling Java. The monument was a Buddhist vision in everyday world and spiralling up to nirvana. Spend time to walk (clockwise in Buddhist tradition) round the galleries of the stupa starting at the eastern gateway, some of the sculptural work were quite impressive. 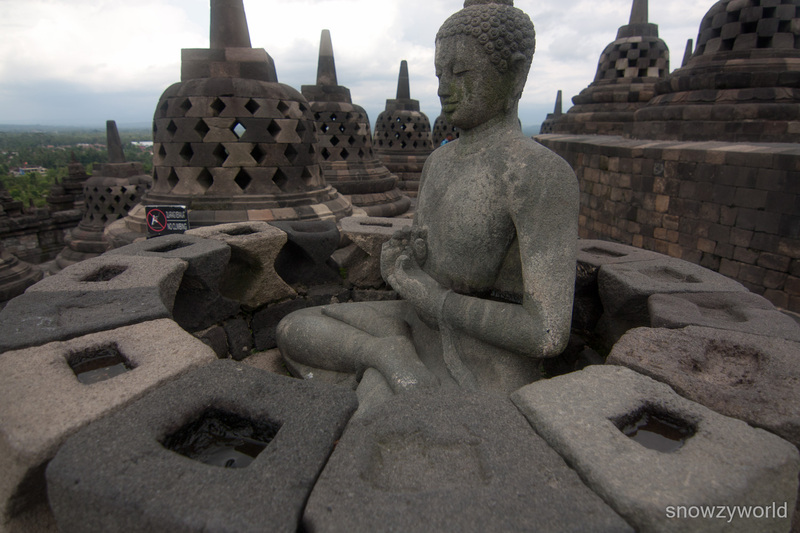 Recommended to watch the audiovisual show at the Manohara Hotel to have a better understanding of Borobudur. We stayed in the Manohara Hotel for its proximity to the monument. The price of the room will include unlimited entry to Borobudur temple and audiovisual show. Hotel guests can join their sunrise tour at discounted price (185,000Rp, Non-guest 335,000Rp). The rooms are reasonably comfortable but pricey. 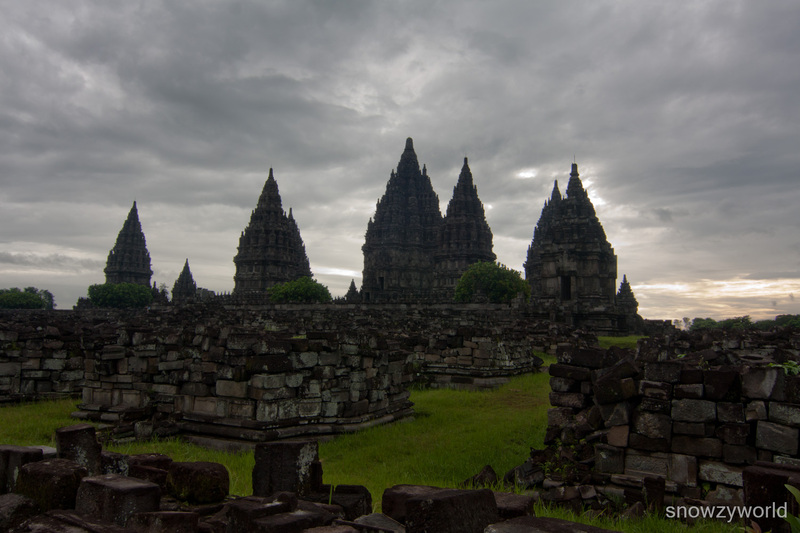 The temples at Prambanan represent the period of Hindu cultural development. 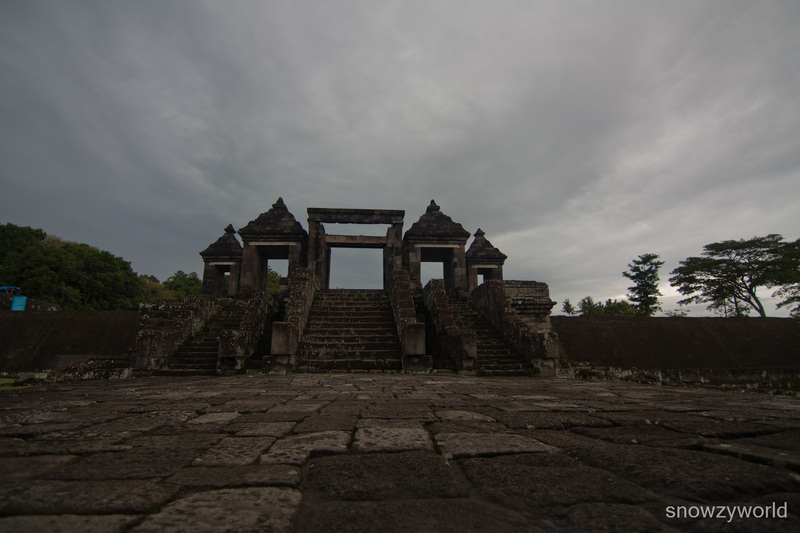 There are 3 main temples each facing the East in the central courtyard. The biggest temple is dedicated to Shiva, the Destroyer. On each side is Brahma temple and Vishnu temple. Each main temple has accompanying temple facing to the west, namely Nandini for Shiva, Angsa for Brahma, and Garuda for Vishnu. We are able to climb up the temples except for Shiva temple where it was closed for restoration (think was closed for a few years already). The entrance fee to Prambanan is 117,000Rp, we booked it through our hotel and got 7,000Rp discount. 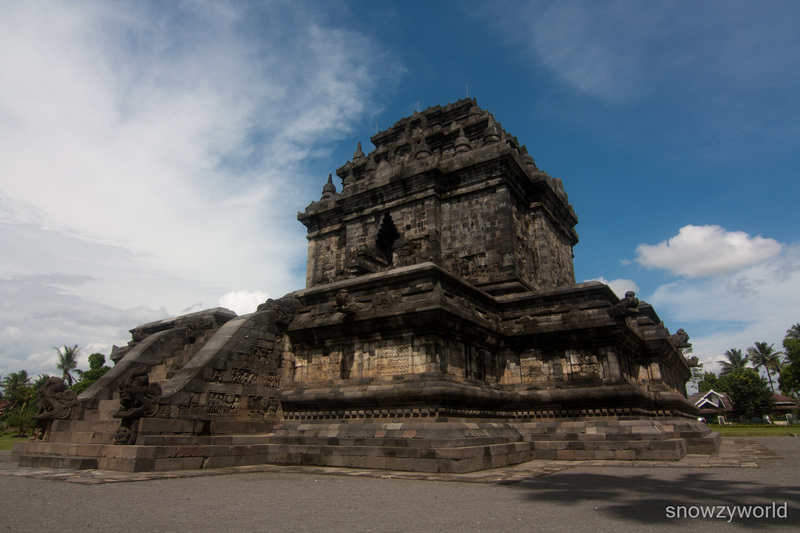 Perched on top of a hill overlooking Prambanan is the Kraton Ratu Boko (Palace of King Boko). It is a big area where first you will see a gateway. 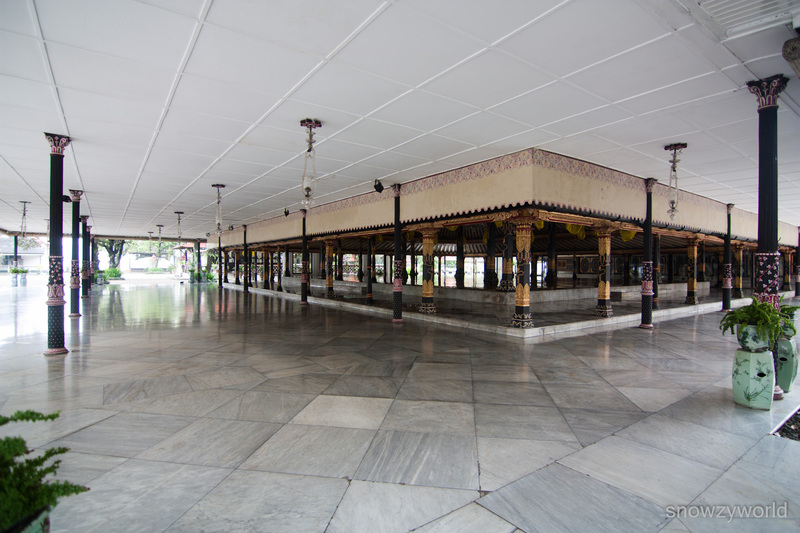 After entering the gateway you will see Pembakaran temple and the holy wells on the left. Walk across the plains you will reach the Paseban aka waiting room for guests who wish to see the king. The area is vast and requires quite a walk. It is actually still in ruins, little remains of the original complex, but the view there is still worth the walk. Entrance fee at 75,000Rp. Both Borobudur and Prambanan made to the Unesco World Heritage list in 1991 but I personally find the temples at Prambanan more magnificent than Borobudur. Do go to find out yourself. It’s quite easy to orientate around Yogja town. The main road that runs from the train station to the Kraton is called Jalan Malioboro. Bustling with activities especially at night, you find many hotels and guesthouses here. Many many souvenir shops (where you can buy t-shirts) and batik shops here. There’s also many roadside food stalls along this road. Sightseeing at Yogja town to me is nothing fantastic. In the heart of the town is the Kraton, a huge palace where the sultans stayed. Much of the Kraton was a museum showcasing collections of gifts from European monarchs, heirlooms of the royal family, etc. Entrance fee 12,500Rp+1,000Rp for camera. 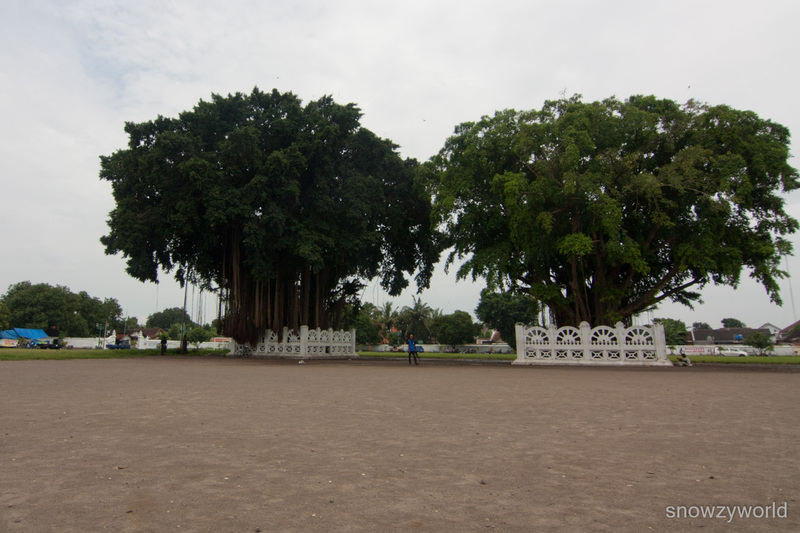 Outside the Kraton there 2 big banyan trees where in the old days, white-roded petitioners would sit patiently there hoping to catch the eye of the king. We saw people blindfolded walking toward the trees. It was said that if one can walk between them without mishap, you will receive great fortune. Blindfolder and walk to the trees, if successful, you will receive great fortune. To the west of the Kraton is the Water Castle aka Taman Sari. From the back of Pasa Ngasem (traditional market or also the bird market) an alleyway will lead up to the broken walls of Taman Sari. Once at the ruins, go to the right to look for the tunnel which will lead you to the restored bathing pools of Taman Sari. 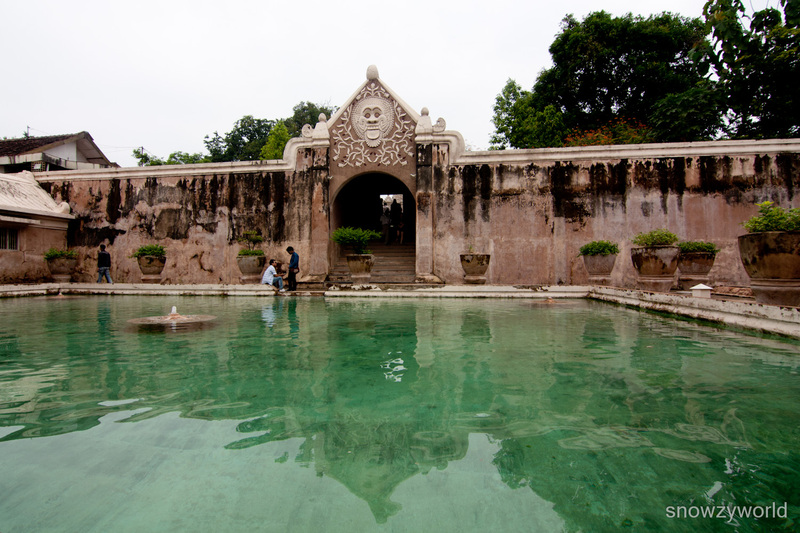 Taman Sari once served as a pleasure park of palaces, pools and waterways for the sultan and his entourage. Thou restored, the condition was still.. alas.. not well-maintained. 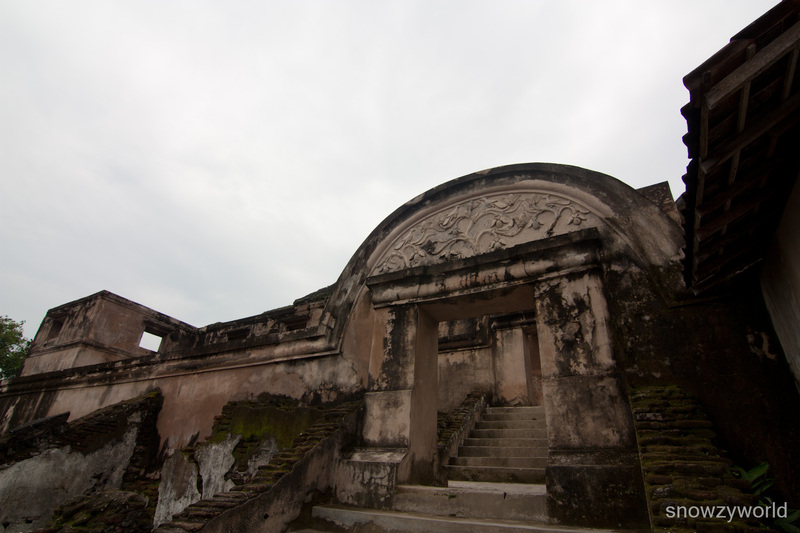 Entrance to the restored Taman Sari is 7,000Rp+1,000Rp for camera.